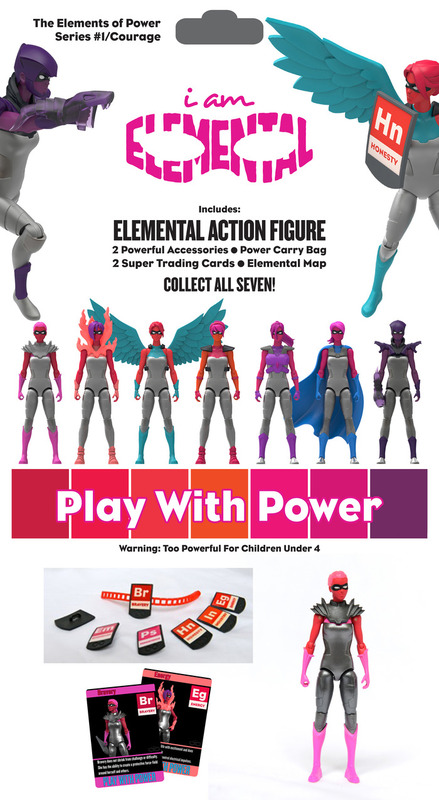 She's Fantastic: Kickstarter: I AM ELEMENTAL! So I took the plunge and backed my first Kickstarter campaign today -- and I'm super-duper excited because it looks like the project is going to be a success. I've been tempted by the Four Horsemen offerings in the past, and I unfortunately missed the boat with the Backyard Heroes. But I'm almost glad I held out because the I Am Elemental campaign seems perfect for my first time. 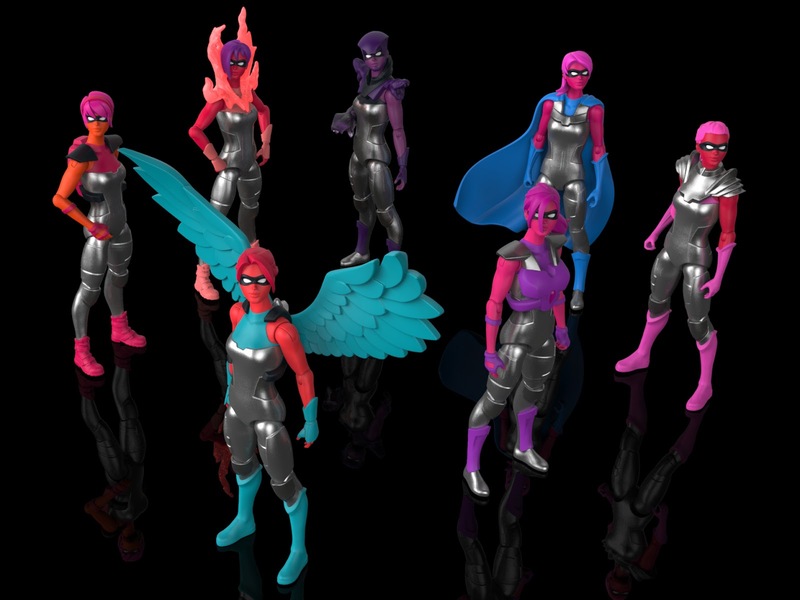 The initial series of figure consists of seven brightly colored, highly articulated female characters representing different Elements of Courage (Bravery, Energy, Honesty, etc). It has a ring of the "Seven Deadly Sins/Seven Holy Virtues" motif which I find very appealing. The skintones are wildly colored (and racially ambiguous). 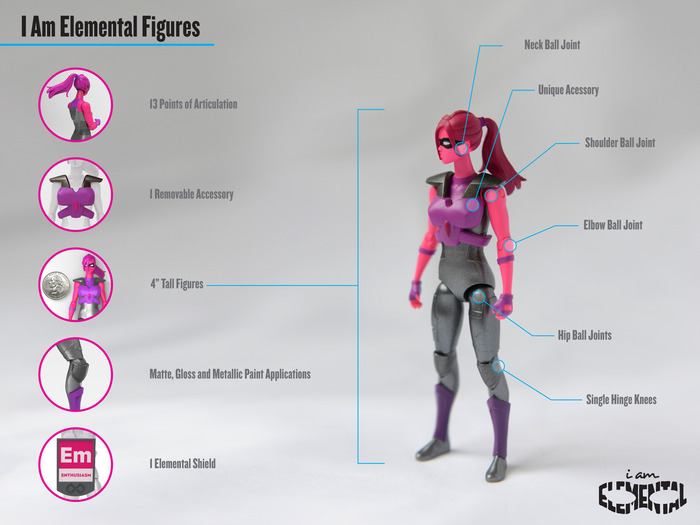 And the figures share a common core buck, but have unique accessories, heads, and variations on boots and gloves that offer some amazing variety while sticking to a common visual theme. I think they're perfect. 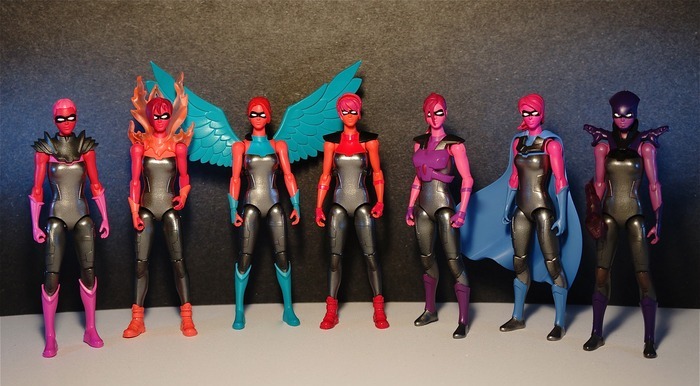 Plus by the nature of the theology behind their design, they are tastefully sculpted and focused on true heroics rather than the typical thinly veiled titillation. Let's check them all out below! 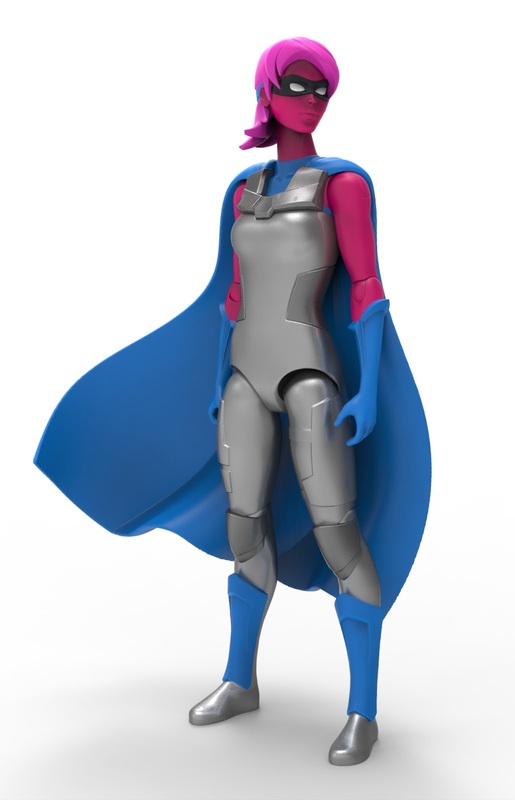 These figures were conceptualized and developed by Julie Kerwin and Dawn Nadeau. After reading their bios, I have no doubt that this venture will be a successful one. They seems business savvy, accomplished, and professional. Many Kickstarter campaigns I've been tempted by in the past have had a great core idea and tons of passion to make it happen, but no real grasp on the realistic business side of successful toy manufacturing. These ladies seem to have the business side completely under control with years of experience each. Plus Dawn is a martial arts instructor (Krav Maga) and Julie spent the previous five years as the co-owner of an Indie-rock record label, Club Rock Records. So, yeah, these women are amazing. Buy their toys! 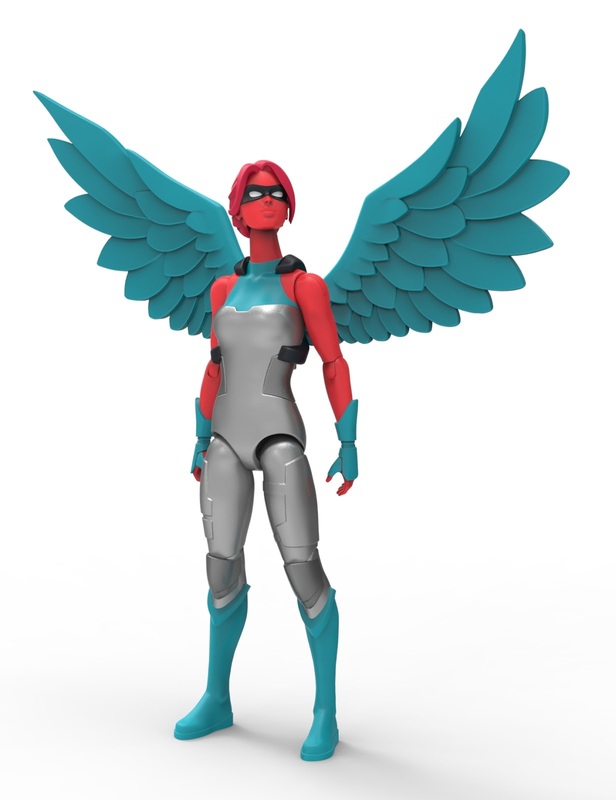 Julie and Dawn have teamed with Eleventyplex for 3-D product development. 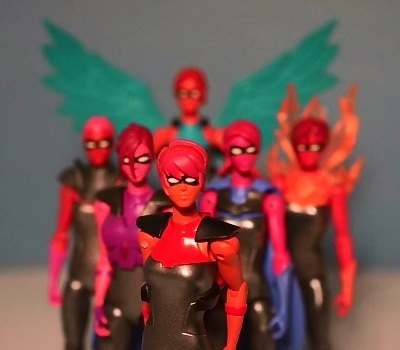 After going through their portfolios, I'm shocked at how many Eleventyplex products I own (Mattel Dana Barrett, Young Justice 4" figures, Action League minis, Bandai Pokemon figures, and even a bunch of Discovery Channel animal figurines). Again, more professionalism. 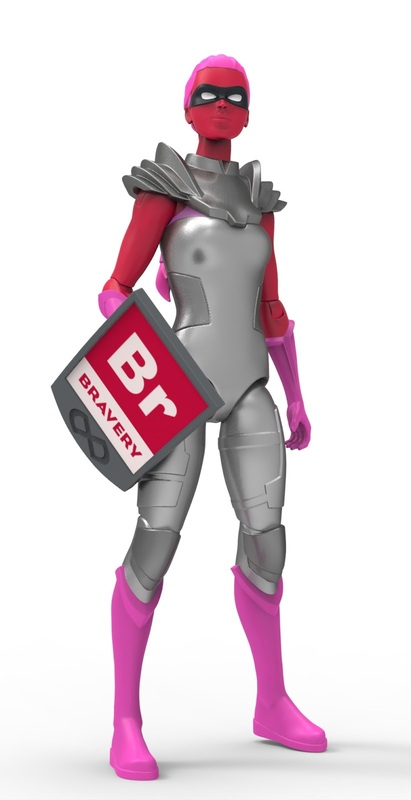 I love how they took a smart shortcut of providing domino masks for all the figures. I think painted eyes are a very tricky detail that can totally ruin a figure if not done exactly right. 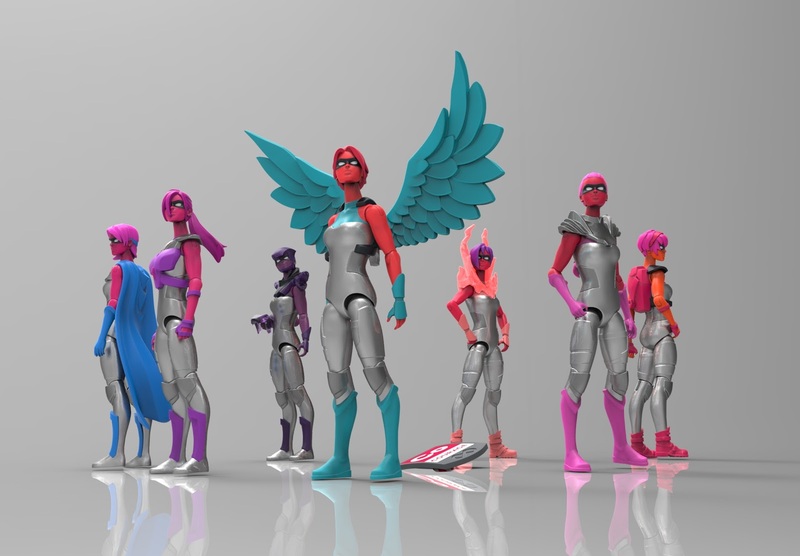 The domino masks provide a perfect excuse to avoid that trap altogether while staying cohesive to the superhero theme and simplified sculpts, and also by providing another design parallel between all the figures. 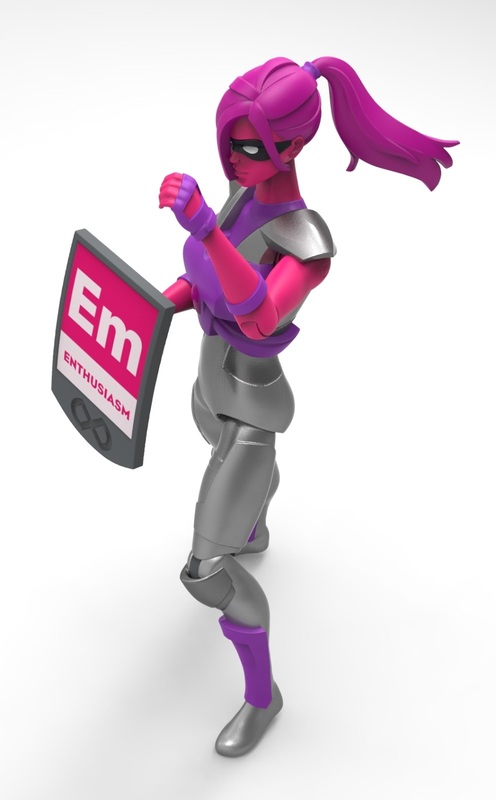 The figures are 4" tall and have 13 points of articulation. I'm having trouble identifying all the articulation. Perhaps the shoulders are hinge-and-swivel and are counted as two. It appears the one character's ponytail may be poseable, but I'm not entirely sure. Unfortunately it seems that the wrists/forearms and the ankles/calves are solid. Hopefully future waves will incorporate some simple boot and glove cuts into the design. I can't get enough of these photos! I'm excited to review them for everyone when they arrive in December. Thanks for the link! I think I'm going to back these,too! They look really nice! Wow - these do look great, and have a great concept behind them to boot! I've not yet ever backed any type of crowdsource campaign, so I can't make any promises - but I'll take a close look at this one for sure! Here's a link to the Eleventyplex webiste. My favorite thing on the website is the Ghostbusters library ghost digital sculpt. I wish it would have ben produced! I have to get in on this one too. These look great.